Our goals this week: understand the difference between hai (nasalized) and hai (not nasalized), ta (dental unaspirated), ta (retroflex unaspirated), tha and tha, da and da, dha and dha, and so on. It's amazing how almost completely unrecognizable differences to a western-trained ear can be critical phonemic distinctions to someone else's. 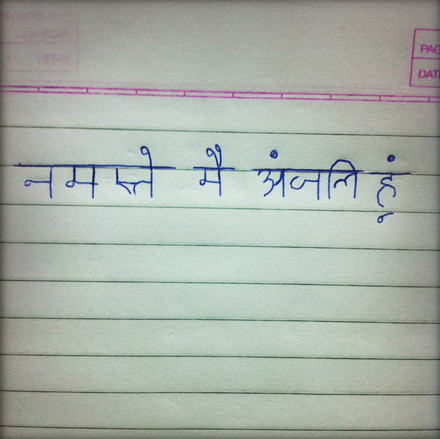 — Our teacher Sanjay, regarding our request to find a Hindi book. I don't remember the last time I saw red ink! (Namaste. Mai Anjali hoon.) 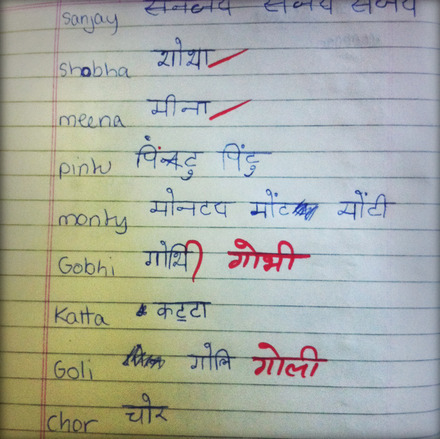 We finished our second Hindi class on Friday with our professor, Sanjay, who's family owns a nearby school. While we were aiming for conversational, he's assured us it's important to master the letters. So far we've memorized the main letters (he taught a core 36), vowels, learned how to pronounce them, and then learned ways of joining them together. So while we didn't expect to memorize the syllabary in four days, you never can tell with language, can ya? In our mind, it's been helpful, as reliance on romanized characters would have been confusing when we learning the pronunciation. 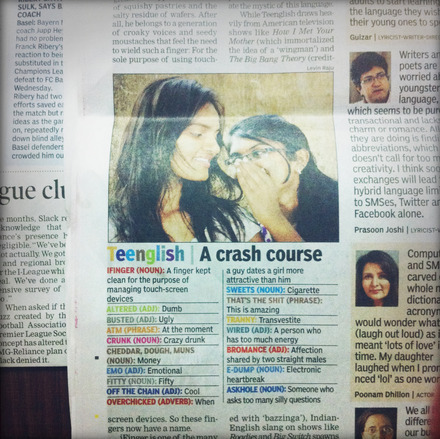 More on all of this Hindi stuff later. 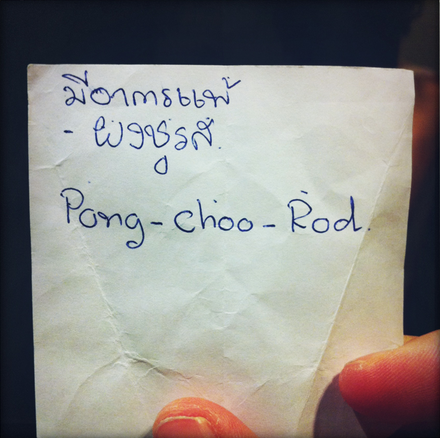 Best food phrase to know in Thailand. I am "allergic to MSG." 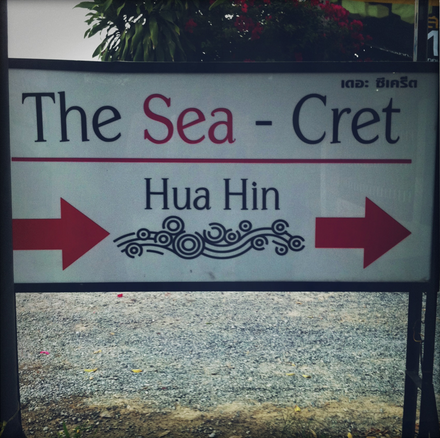 We visited Hua Hin on our way down to Ko Tao. It's about a 3 hour ride from Bangkok. Our guidebooks made it out as a summer getaway for the Royal Family and Bangkok's elite, but we found it to be an old fishing village converted heavily (and only in the past 5 years) into targeting European grey hairs. According to a local we met the fisherman are none too pleased but the town continues to expand. Of course, there were a few well-targeted Western restaurants with some good fresh veg and also a gaggle of ladyboys (Thailand's cross-dressing men) spilling out of the bars not a stone's throw from where all these grey hairs were enjoying their pasta. So it made for some good people-watching.